A MOTHER of five, one of the women affected by the cervical cancer scandal who was not informed until this week, has said her "head is spinning" from the news. Emma Ní Mhathúna was diagnosed with second stage cervical cancer in 2016 - despite a smear test in 2013 coming back clear. The 37-year-old was only informed of the erroneous test reading by her doctor last Sunday, when news of the issues at CervicalCheck emerged. 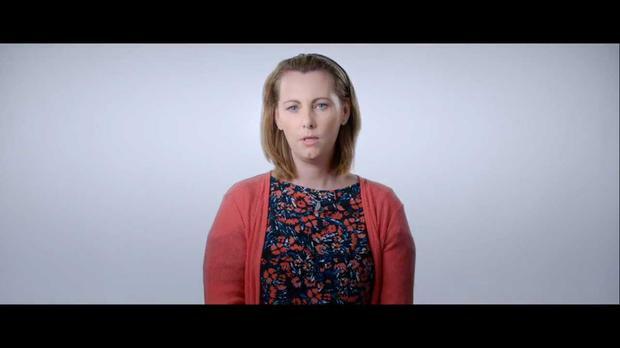 The Co Kerry resident was so affected by her battle with cervical cancer that she and her daughter previously took part in a HSE promotional video to encourage the uptake of the HPV vaccine. Ms Ní Mhathúna told RTE Raidió Na Gaeltachta that she had regular smears ever since the birth of her Natasha, who is now 15. All were normal until 2016 when her smear test showed an issue that warranted further investigation. “The nurse called me and said that something was showing up in the smear, and that I needed to go to the hospital," she said. "On 20 September 2016 I got a biopsy done, but the doctor said to me straight out there and then that he didn’t need to wait to get the test results back, you have cancer and we have to act quickly, I’m ordering an MRI for you. That was Wednesday, and on Monday I got the MRI and the doctor told me I had stage 2B cervical cancer. It wasn't until this week that she learned there was a problem with her previous smear test. In a further phone call with her doctor, Emma got further information on the situation. The Co Kerry resident, who is now under the care of University College Hospital, Cork, had been given the all clear from cancer but in April she felt that something was not right. “On 15 April, that’s a fortnight ago, I knew there was something wrong with my body again. I went to the doctor and he found something that was more than 1 cm there... I was at the hospital last week and had to get a biopsy done yesterday. Everything is up in the air now," she said. The young mum worries most about her family and has arranged for her son, Mario, who is in fifth class, to make his Confirmation alongside his older brother next week. "When there’s cancer in the house, the children are always worrying if everything is OK," she said. The young woman said her "head is spinning" over the news. "I’m waiting to open my eyes and to be back in my bed and that this is not true," she said.